The Trailer Guys are what they advertise best & cheapest around we drove from Sand Springs, OK to get our 40ft 3-7k axles gooseneck and we like it very much Drove 200 miles to get this trailer only place we will buy from now when we need a trailer. Drove from Sand Springs, OK had it in stock at other dealers here in Tulsa area but they don't keep any stock want you to pay then wait 4-6 weeks. The Trailer Guys will always have my business. great job guys. John Porter @ Porter Heat, Air & Refrigeration LLC. 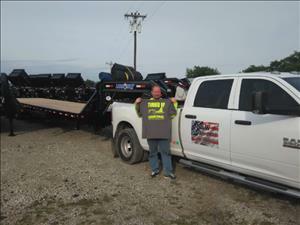 We've sent hundreds of customers from all over the country to The Trailer Guys for the types of trailers we use here at www.HotshotDispatching.com . The reasons we send them to The Trailer Guys is because they ttreat their customers fair and they stand behind the trailers they sell. 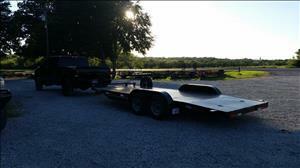 As a testament to the quality, craftsmanship of LoadTrail Trailers, and The Trailer Guys themselves. We put approximately 80,000 to 100,000 miles on our trailers each and every year. Anytime there's been a warranty related problem The Trailer Guys have always stepped right up and taken care of the Independent Hotshot Owner Operators we have working with us. They held a trailer for me for 3 weeks being the only one they had in the lot until i was able to come from miami. 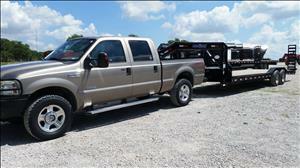 Deff makin my next trailer purchase from the trailer guys!!!! Having purchased 2 trailers from Rob, I would say that he went above and beyond in helping me. I do not live local and had a 2 day drive to pick up my new trailer. It was worth it, for the effort that was made in getting the extras on the trailer and making sure that everything was explained. A high 5 to all of the guys for their help in getting me back on the road with my new trailer!! Pete Richard /Arena Rock Doc. Very smooth process to buy a trailer from them. Drove from Denver to get one. Chase was really helpful and knew everything about the trailers. Thanks! Great inventory, pricing, and top notch customer service. They had a trailer custom built for what I wanted and it wasperfect. When I was looking for another trailer I went back to them and they had the trailer I wanted in stock at the best price. This is the only place to go for trailers. My brother Arden (owner and operator of K2 craftsman as well as AWK Enterprises) and I just left The Trailer Guys lot with his brand new 32'X102'' low boy, 3 axel, drive over fender, Load Max trailer and couldn't be happier with the quality of the trailer and more importantly quality of service provided by The Trailer Guys. Jessy even did some troubleshooting and repair on our electrical trailer plug free of charge. We drove all the way from northern Colorado and would gladly return in the future. The drive was well worth it! 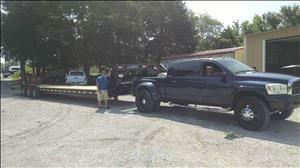 We highly recommend The Trailer Guys to anyone looking to purchase a trailer.